BMW 7 Series car leasing. 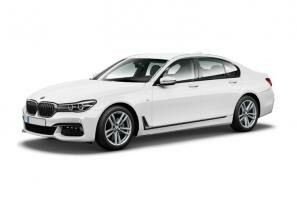 Find the best BMW 7 Series leasing deals at CarLeasing.co.uk. A hugely important car for BMW, is this all-new 7-Series. The highlight is the bodyshell. BMW made use of techniques and production methods devised for the i3 and i8 to trim 40kg from the 7's chassis, which incorporates bits of carbon fibre for added stiffness, strength and lightness. All told, the new 7 is some 130kg lighter than the old car. Find your perfect BMW 7 Series by browsing our deals below. Choose from a range of optional extras and even insurance or maintenance if you want complete peace of mind. Our latest BMW 7 Series leasing deals. Click the links below to view our latest BMW 7 Series leasing options. 3 reasons to lease your next BMW 7 Series from us. We deliver your brand new BMW 7 Series vehicle for no additional cost.